Hiring a coach is one of the best steps you can take to reach your goals. Much like training itself, it can be a difficult process to find the right coach for you. Following the steps outlined below will help make the process easier. Before interviewing any coach, determine what your needs are. This would entail elements like communication, coaching style, feedback and others. Do you need daily feedback on every workout or are you OK with weekly reviews? Are email and texting good enough or do you want scheduled phone calls? Some athletes need a coach to be their constant cheerleader while others want more of a hardened, tough approach. The point is to do some self-examination first. Decide what motivates you and what need from your coach to have a strong and successful relationship. This step takes time to do correctly. Unless you live in an area with access to multiple coaches, chances are you will be working with your coach remotely. Of course, you can turn to the internet and search for coaches online. There are several coaching directories you can use on USA Cycling, USA Triathlon and of course, TrainingPeaks. A good coaching website will have a section on their history, philosophy and past athletes. Read through their page to get an idea of their qualifications, athlete history and personality. They should also have their pricing structures on the site so you can make sure they are within your budget. Another good resource is other athletes. Ask those around you if they have had experience with a coach or have any suggestions. Many athletes look for certifications from National Governing Bodies like USA Triathlon or USA Cycling. Certifications are a good sign, but are by no means the only way to determine a coach’s abilities. If you like the scientific side of training, you may want to look for a coach with a degree in exercise physiology. Of course, letters after a name is not the only form of qualification. Look to see if they have coached other athletes similar to yourself. If you want to reach the top of the podium you’ll want to find a coach that has worked with elite athletes, while athletes just getting started would be better off with a coach that specializes in beginner athletes. The same is true for junior or masters athletes. Once you’ve narrowed down your search, send an introductory email to get communication started. Since you’re paying good money every month schedule a phone call to talk directly with any potential coach. This is your opportunity to make sure that the needs you determined in step one can be met by the coach. Make sure they meet your expectations in terms of communication and feedback. If you want weekly phone calls, make sure you express that. It is also the best time to talk about the potential coach’s experience with athletes similar to yourself. Ask about their training philosophy, past experiences and expertise outside of coaching, like equipment, nutrition, etc. Have a list of questions ready, and take notes as you go. You should interview multiple coaches, and you will want to refer back to your notes when it’s time to make a decision. Another good step to take is to interview an athlete who has worked directly with that coach. First-hand knowledge is always the best source of information. Hiring a coach is one of the most beneficial steps you can take to improve. 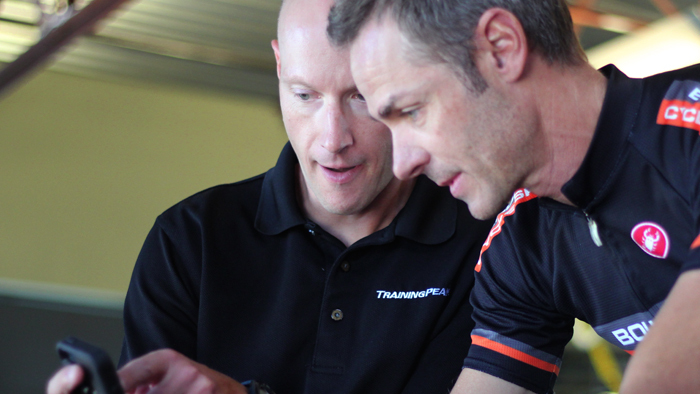 For athletes who find the process a bit overwhelming, the TrainingPeaks Coach Match Service is another great option. A qualified coach with the right background and communication skills will give you a focused plan, expert instruction and feedback to help you reach your goals.